I used to always wonder why people with kids were always late. It’s not that different than getting yourself out of the house, right? Boy, was I wrong! Now that I have Baby E, I know exactly what it’s like. Getting out of the house with a baby is a lot more work! Some days are easier than others but the key is allowing plenty of time to get ready. Baby E is starting to go on outings more regularly now. 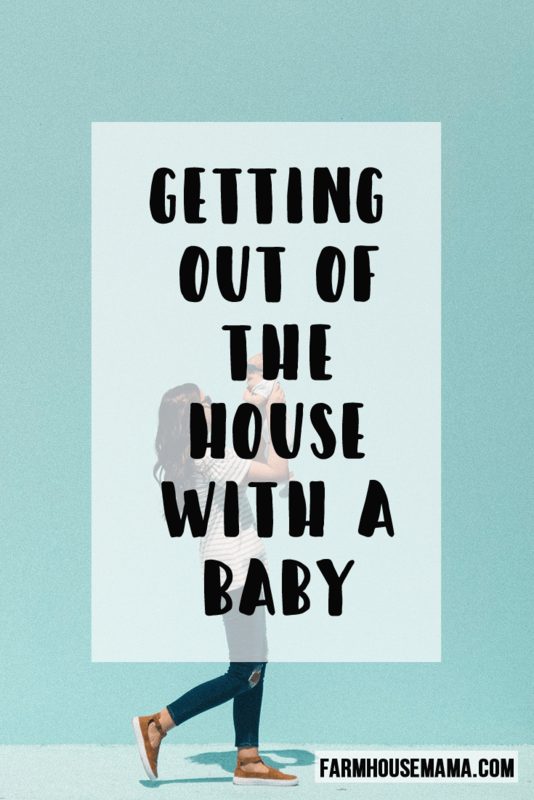 Here are my tips for getting out of the house with a baby (and be on time too)! 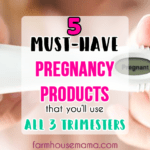 Find a quick makeup and hair routine that works for you, and get ready before the baby. 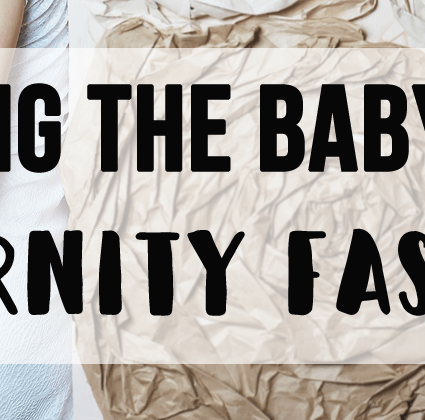 I plan to get ready either right after I feed Baby E so he is awake and happy or during a nap (or if you want to sacrifice sleep for some peaceful morning time, you could get ready before the baby wakes up!). Baby E usually sits in his bouncer , and if he’s awake I sing and talk to him the whole time to keep him entertained. Today I actually got ready without any pitstops. I didn’t have to stop to change him, and he was happy the entire time. I did my makeup in five minutes and threw my hair in a mom bun. Although I had time to wash my hair today (Baby E was extra good! ), don’t be afraid to make day 3 (or maybe even day 4..) hair work. Allow Time to Get the Baby Ready. 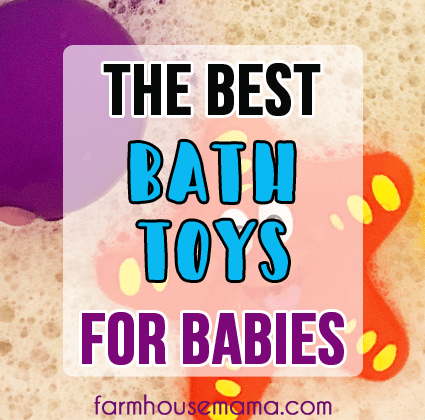 Even though babies are small, they can take awhile to get ready. Make sure you change their diaper right before you plan to leave the house. Allow extra time for last minute leaks, blowouts, and spit-up messes. These things happen! And sometimes they all happen in the same 5 minutes! 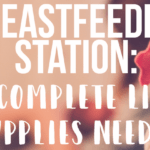 Restock the Diaper Bag After Each Outing. 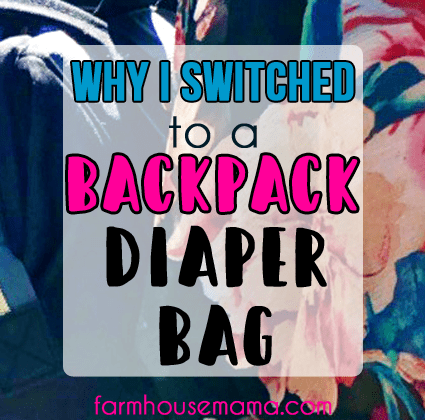 I find it helpful to always have the diaper bag stocked with diapers (my favorites are these! 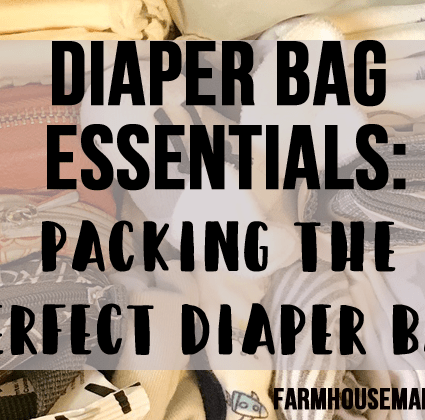 ), wipes, binkies , burp cloths , and all the other essentials. When you get home from an outing, pull the dirty clothes, burp cloths, binkies, etc. out and replace them with clean ones. I also quickly learned to bring more than one outfit change. When you’re ready for an outing, just grab the perfectly packed diaper bag and whatever last minute items you need. 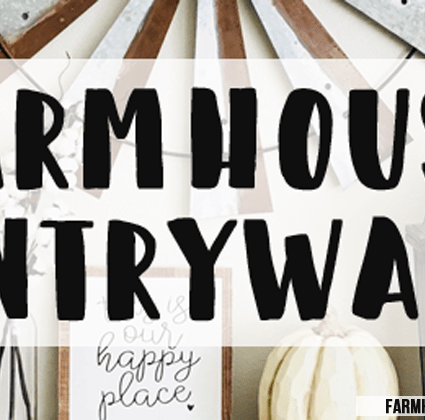 Take into consideration feeding times, and plan around that. 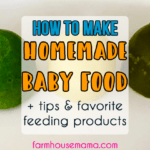 I usually make sure I have just finished feeding Baby E before I leave the house. Sometimes it’s hard to plan it right, but just do your best. As soon as I finish feeding him, I do a quick diaper change and head out. I know he is generally happy for 1-1.5 hours after feeding him. 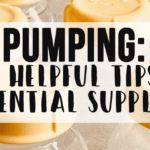 If your baby is happy or napping right after a feeding, it could be a good time to run to the store and have the baby in the stroller or carrier . Sometimes it might seem like so much work to get out of the house, but it is worth it. 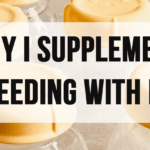 You get the hang of it as you develop your own routine that works for you and your baby. Allow extra time and plan your outings later in the day, if possible. I’m definitely still getting the hang of things, but last night Baby E and I were five minutes early to a birthday dinner! Success! Yes! Thank you for admitting that 4th day hair is a thing, haha! I think we all need to be honest here! 🙂 glad I’m not the only one! Hahaha I am always late! Today I left him with a baby sitter…and I think I need to figure out a similar system for those times too. It’s hard!! I admit I am late still occasionally because sometimes things just add up and before you know it, you’re late. Like today for example ? Yes! Great tips! My daughter has pretty bad reflux so we have to burp her for 20 minutes right after each feeding, which made going out a nightmare. It is definitely all about timing and being in tune with your little one! Oh wow! I definitely understand!! Every baby has their own needs and some people just don’t understand what goes into getting out of the house! Sometimes it’s hard but so worth it! I am always late and my kids are 12 & 8 now. I swear something always goes wrong as we are about out the door and my youngest moves slower than a backwards turtle! Oh my gosh that is too funny!! Isn’t it?! My whole world changed but for the better!! Getting out of the house can be such a hassle with the baby. 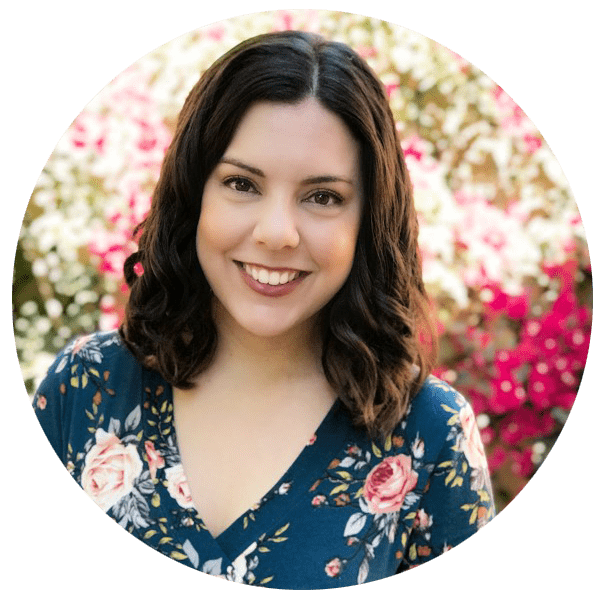 I’m a recipe blogger so the worst is when I realize I need one just one thing for what I’m working on! There’s no such thing as running to the store to get it in like 10 minutes. A quick 10 minute run to the store has turned into more like 45 minutes with a baby! Oh wow that has to be so hard!! 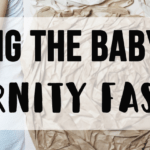 It’s so true that there is no such thing as a quick 10 minute errand when you have a baby! Great tips! Getting out can be so hard but so worth I️t! Lol! Oh wow! That’s a huge task to get 3 out of the house!! I’m still at the stage where I dress him but I bet they do take forever when they have to do everything by themselves ?